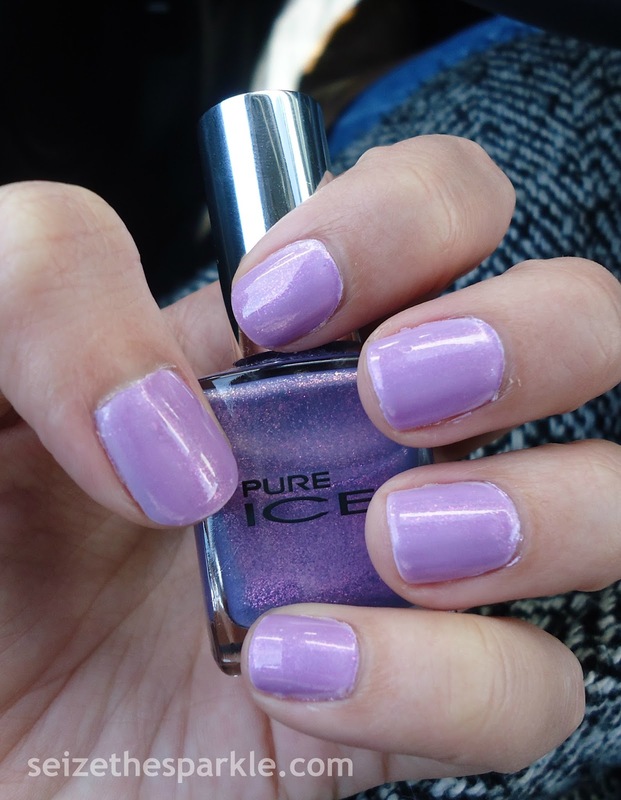 Today's manicure is brought to you by the background shade in all the press images for Radiant Orchid. 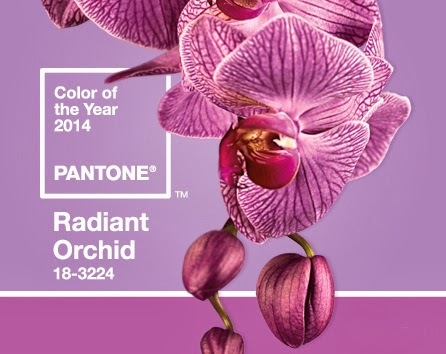 That shade tends to stick in my head and I'm constantly confusing it for the Color of the Year! This is probably the second time I've worn Sweet Hook since I bought it, which is kind of sad. 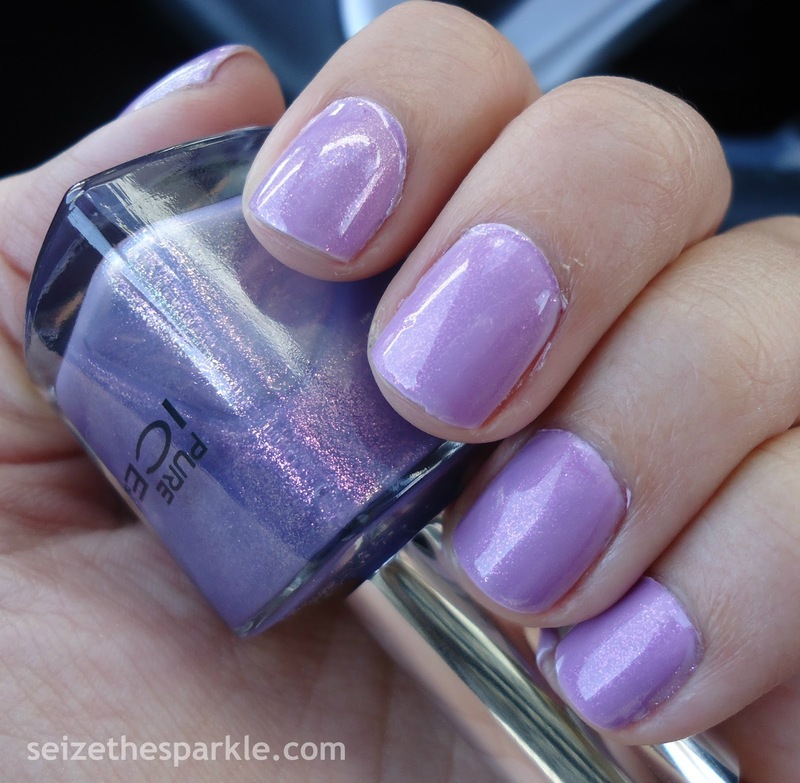 It's from the China Glaze Electropop Collection, released in Spring 2012. 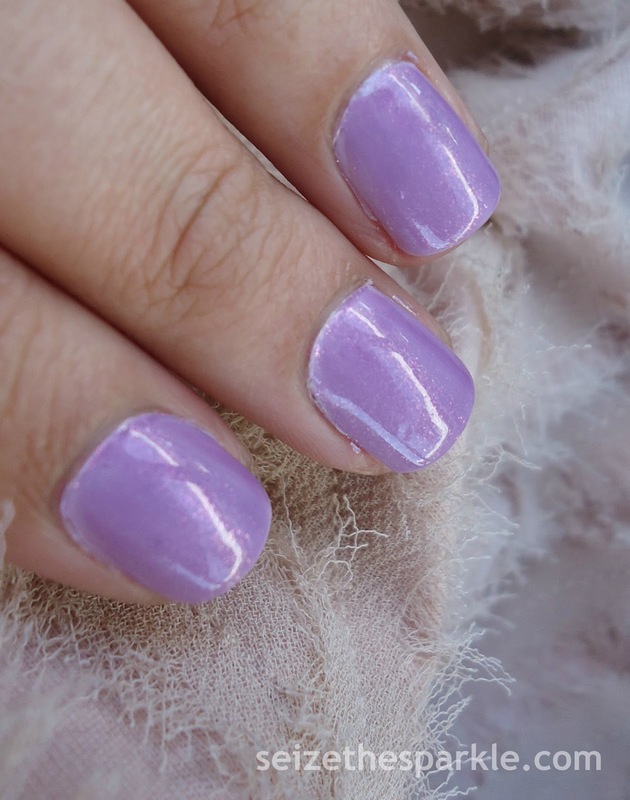 It's a warm pastel lavender/lilac color that's really pretty on its own. Busted added pink shimmer and a little more purple to the mix. Three coats made it a little more shimmery than I had intended, so I added a coat of Lilac Coolers to tone it down and make the purple just a smidge darker. Would you wear Sweet Lilacs?